If you're a dieter, you've probably read all about the importance of calories in vs. calories out. But what is this traditional calorie equation? 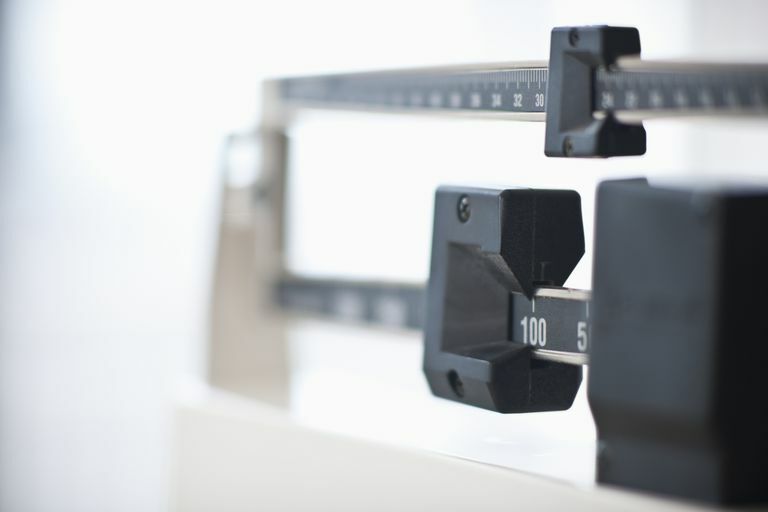 Make sure you understand the important system if you're serious about losing weight. The calorie equation is simple. But, of course that doesn't mean it's easy. But the calorie equation is grounded in sound evidence. The premise is this: If you take in more calories than you need on a daily basis, the excess calories turn into extra weight. And if you take in fewer calories than you need, you lose weight. Think of food as fuel and your body as a car. Food is the energy our bodies need to move. Overeating is like over-fueling. Any excess fuel you don't use turns into fat and weight gain begins. The process of weight loss is just as straightforward. If you consume less fuel or less food than you need, your body burns fat or stored fuel and you lose weight. Believe it or not, the calories in vs calories out equation is the basis of every weight loss program. Whether you follow a low-fat diet or low-carbohydrate/high protein diet or even if you exercise to lose weight. Every plan has the same bottom line: you need to reduce your calorie intake to slim down. Once you understand the calories in vs. calories out equation, weight loss becomes simple. But that doesn't necessarily mean that weight loss is easy. In order to cut calories from your daily diet, you need to make changes to your eating habits and to your lifestyle. And change is never easy. But if you start with small adjustments to your meals and to your daily activity level, the changes are generally tolerable. So where is the best place to begin? Here are a few steps you can take to increase the number of calories you burn and decrease the number of calories you eat. Increase your daily steps. Walk more each day. You don't even have to work out to increase your step count. Just make small adjustments to your routine. For example, park further away from your office or workspace so you have to add extra steps to get to the front door. Take the stairs instead of the elevator to your apartment. Take the dog for a walk after dinner. Cut portion sizes in half. At mealtime, look at your plate and decide if you really need all of the food that you have served yourself. In many cases, you can cut your portion sizes in half. This is especially true in restaurants where portion sizes tend to be very large. Swap high-calorie drinks. If you are a typical American, you consume several high-calorie drinks each day. Sugary sodas, juice drinks, and coffee drinks are common culprits. If you can drink water instead, you can cut 100-400 calories or more from your daily intake. Skip condiments and sauces. You can reduce the calories in your sandwich at lunchtime by avoiding mayonnaise or other high-fat spreads. And if you can avoid creamy sauces on your pasta or chicken dishes you'll cut fat and calories even more. Start an easy exercise program. If you want to burn more calories, you don't necessarily have to go to the gym every day or work out to the point of exhaustion. Instead, start an easy exercise program at home and commit to a 20-minute session in the comfort of your living room. A small amount of exercise can make a big difference in the way your body looks and feels. In the end, consistency matters most. Sometimes, diet ads, magazine articles, and weight loss products claim that the calories in vs. calories out equation is not effective when you are trying to slim down. But the bottom line is that it is the only way to change your body that has been supported in research studies time and time again. The calorie equation isn't new or fancy or trendy, but it is effective. You simply don't need to pay for an expensive plan for weight loss to occur. While there are many products and plans that can help you stick to a calories in vs. calories out lifestyle, you don't have to have them to slim down. Give the equation a try on your own—you may find that it is easier than you expect.